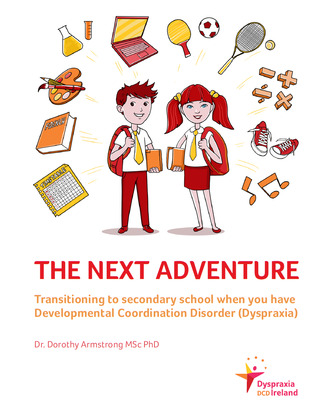 Dr Dorothy Armstrong has recently published a book, entitled The Next Adventure, published by Dyspraxia Ireland. It includes testimonies and lived experience from students who have made the transition themselves, as well as guides for the everyday challenges of secondary school life. The book is available to purchase from the Dyspraxia Ireland website, click on the picture for a link to further information.